This is Rough Luxe. Half rough, half luxury. A little bit of luxury in a rough part of London. 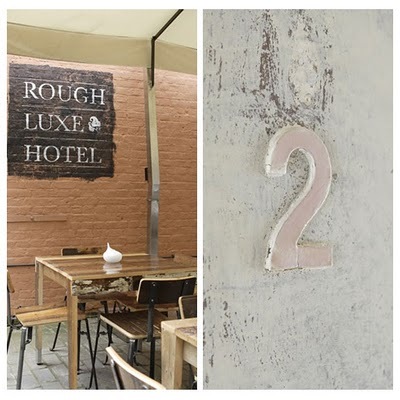 A little bit of rough in a luxurious London. This is one of the new trends in interior design. Q. What do you think of this trend? 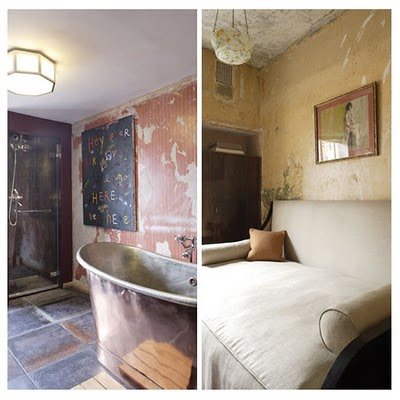 I am all for recycling, restoring and reclaiming, but I do feel the trend is taking the 'roughing it' a tad too far. There is industrial and vintage chic, but there is nothing tempting in down right rough & run down in my book. @ Charlotta: yes I fully agree with you! This trend is not my style but anyway interesting to see these new developments in new hotel concepts.